From the illusion of time travel to numbers in unusual places, expect the unexpected from the Swiss watchmaker. One of the most complicated watchmakers in the world, Franck Muller has unveiled its latest collection of intricately crafted timepieces that break horological boundaries. 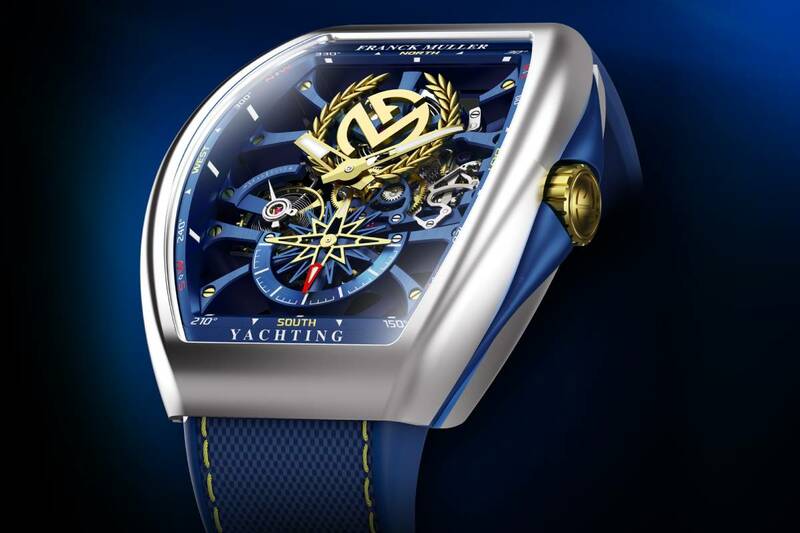 Known for creating avant-garde watches characterised by complicated movements and innovative designs, the Swiss company released its capsule at its own watch fair – the 29th edition of the World Presentation of Haute Horlogerie (WPHH) in Geneva, Switzerland. 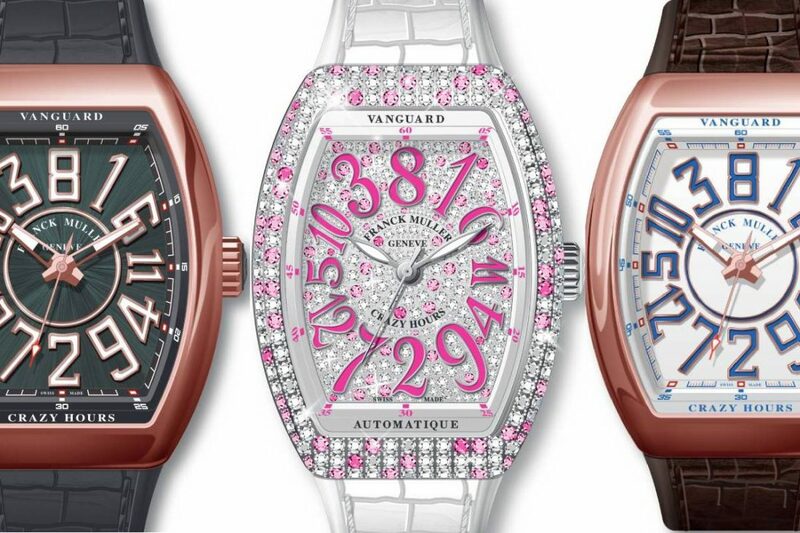 From the anti-clockwise movement of the Vanguard Remember to the glittering diamonds and rose sapphires adorning the Vanguard Crazy Hours Lady, there is something in the new collections for every horophile. 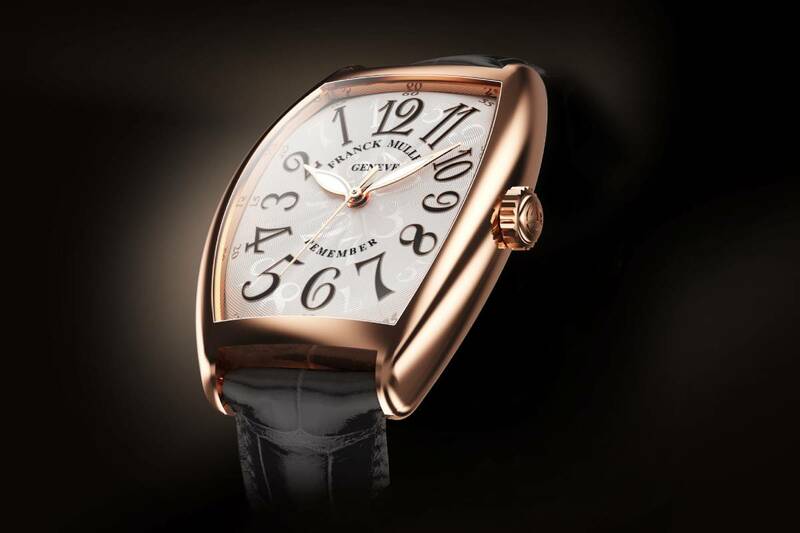 Experience the illusion of time travel with Franck Muller’s timeless Remember watch in 18-karat rose gold. All three hands (the hour, minute and seconds) “advance” in an anti-clockwise direction, creating the illusion of going back in time. The reverse sweep demonstrates that time doesn’t matter – only its expression does. It might take some time to wrap your head around the reversed display, but there’s an element of play when the watch-wearer checks the time in the mirror. The Remember watch is a natural progression from the signature Crazy Hours collection by Franck Muller where the hour hand jumps at random around the dial. The Skafander was released a year ago as the brand’s first proper diving watch, and it’s back with some upgrades in the form of the Skafander Chronograph. 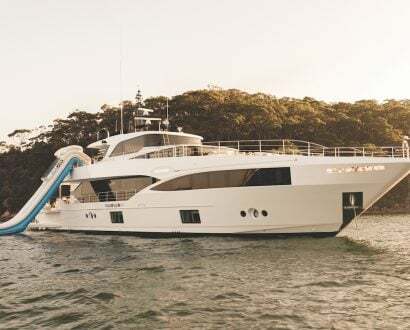 The new edition features a unique pusher and lock system for ultimate underwater precision, and a second event timing function with four tactile pushers and one locking device, making it an efficient diving partner. Two chronograph pushers on the opposite side of the case offer a balanced symmetry to the silhouette of the tonneau-shaped case, and activate a 30-minute chronograph which can be used to time two simultaneous events independently. The Skafander – Romanian for diving suit – boasts a 42-hour power reserve, a 24-karat gold finish on the engravings and a unidirectional rotating bezel indicating the dive time. With more than 80 pink rose sapphires adorning the face of the Vanguard Crazy Hours, the feminine timepiece will certainly catch the eye. 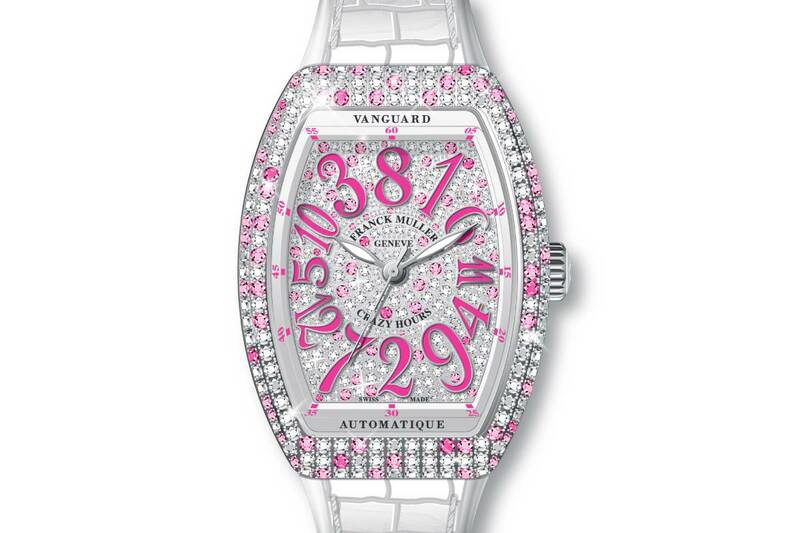 Generously studded with more than 200 diamonds, this whimsical design resembles the hue of sparkly bubble-gum and tells the time in an unorthodox manner. At the top of the face, replacing the usual 12 is the numeral eight, while the southern end of the face features two o’clock instead of six. Allowing for the striking timepiece’s peculiar time-telling is the unique hour hand, which makes a ballet grand jeté at 9 o’clock sharp to the opposite end of the dial. 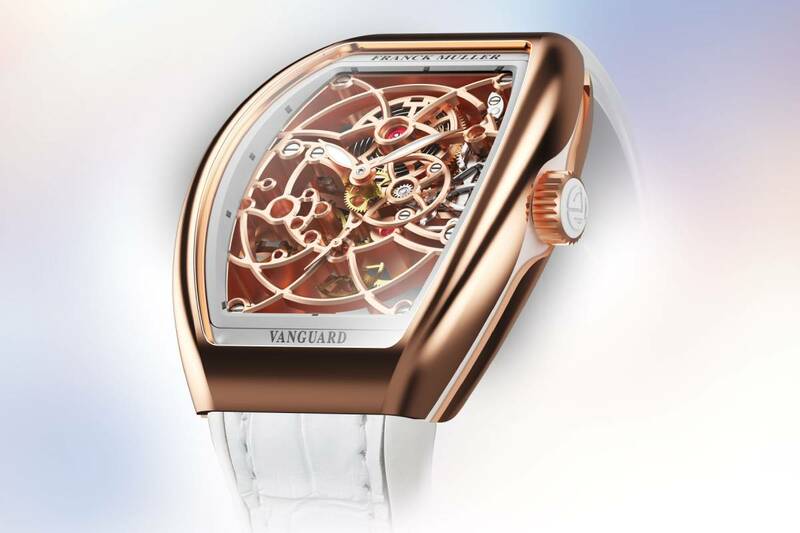 The Vanguard Lady Skeleton is a sophisticated creation that showcases its meticulously skeletonised components – all 156 of them – and while they have been trimmed down for display, the timepiece maintains the structural integrity of its tight movement structure. It offers four days of power reserve and is perfect for a casual or corporate day out. Observing the intricate movements and bridges endowed with satin finishing, circular graining, mirror polishing and hand-chamfering is a genuine treat for horlogerie aficionados. With rose gold casing, and a white inner bezel complemented by a white alligator strap and a white coated crown, the timeless watch will tempt curious eyes to lean in a little closer. 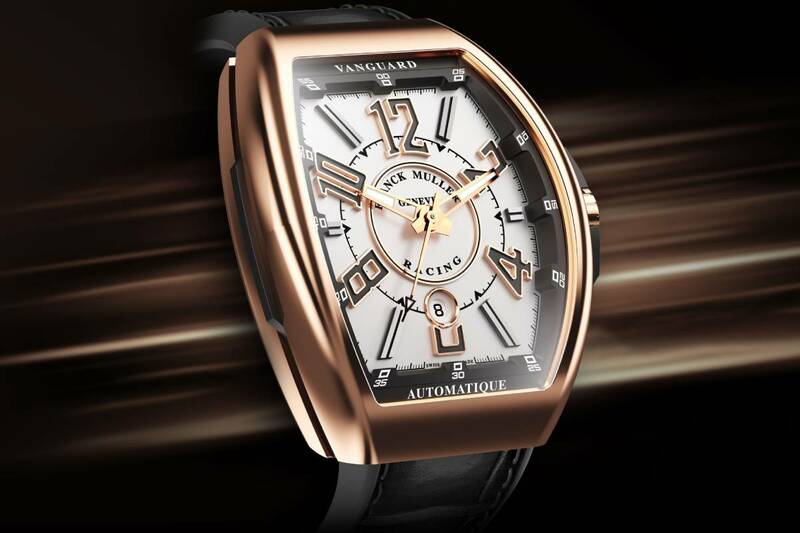 A blend of old-school racing with subtle modern metallic curves forms the masculine Vanguard Racing timepiece. Framed in glossy rose gold, the trademark tonneau-shaped Franck Muller watch features raised indices and an inner bezel, which adds depth to the dial, while Arabic indices have been replaced by baton indices to mirror racetrack start lines. The curved case back allows for good wrist movement and the vintage racing flavour infused into the timepiece gives it athletic confidence. With 42 hours of power reserve, 18-karat rose gold casing, a hand-sewn alligator strap and oscillating weight, this racetrack-inspired timepiece will get engines – and hearts – racing. Sublime to the touch and showcasing its incredible architecture within each watch face, the Vanguard Yachting Anchor is an intense visual spectacle. 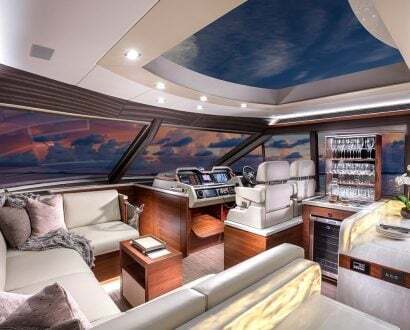 Despite its sinewy, open design, the tonneau-shaped canvas has nautical accents and details that all but leap from the dial. Sweeping hour hands with a 24-karat yellow gold finish lend a sense of relaxation to the wearer amid an alchemy of metals bolted with yellow-gold screws. 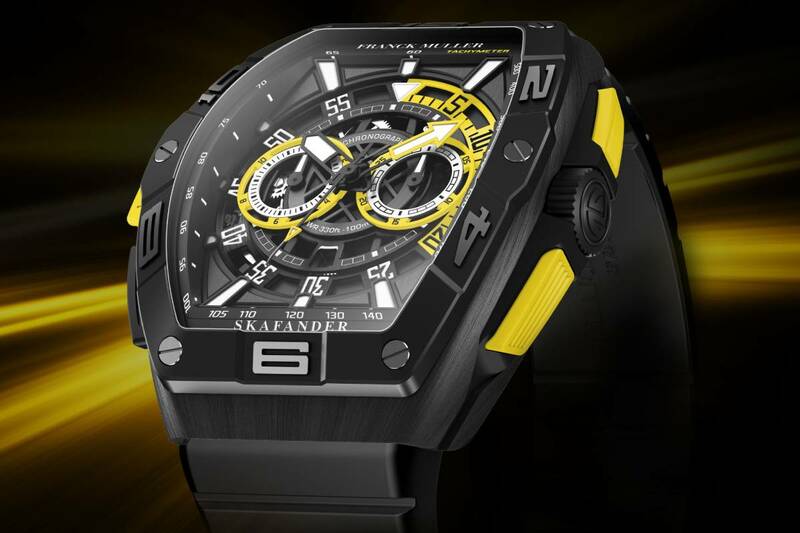 An impressive seven-day power reserve is as impressive as the low 18,000 vibrations per hour – a mechanical marvel.